Savvy SEOs need not be told that link building is one of the most crucial exercises to help websites scale the heights of search engine result pages. Many spend a lion’s share of their time and effort on gathering links. But quite a few SEOs still need to be convinced that linking to other sites is as important to the success of a link-building strategy as getting backlinks. Outbound link strategies do not feature in many SEO campaigns simply because analysts, marketers, and the C-suite fear giving away a portion of their PageRank and losing their existing and potential customers by directing them away from their site. Thankfully, smart optimizers realize that these are myths! The following discussion highlights three nifty outbound link strategies to help SEOs garner the maximum benefits from their link-building efforts. In the real world, people who do not know you tend to judge you by the company you keep. Things are not different in the web world. Search engines judge the worth of your site by your “link neighborhood” and this pertains as much to your outbound links as to your backlinks. It is widely believed (and rightly so, in most cases) that websites that link to spammy sites are likely to be dubious themselves. In the virtual world, spam begets spam and so, your site is also likely to get branded as one that contains a lot of spammy links. This reputation will hit you where it hurts the most — in the credits that you receive from the various search engines. Thus, be as careful, prudent, and discriminating when linking to other sites as you are when letting others link to yours. Make sure that you link only to sites in your niche area of operation and choose ones that update their content regularly and maintain a high quality consistently. This also means that you should not link to sites, and especially blogs, that haven’t shown much activity in recent times. More is definitely not merrier with outbound links, as Google’s webmaster guidelines point out, so focus on quality over quantity. 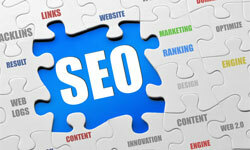 Seasoned SEOs have long realized that the sole objective of a link-building exercise is not to earn backlinks. They know that they may not be the all-in-one resource on a particular subject and so they provide visitors to their site links to other credible sources of information. You yourself have probably often linked to online encyclopedias and distinguished journals and magazines in the industry that your company operates in even when you knew that you wouldn’t earn backlinks to your site. So, now go a step further and link to your competitor’s site if you think there is content of value there. While you will probably end up directing your potential customers to your competitor, in the process you will earn their goodwill by coming across as a business entity that accords more priority to the needs of its customers than its revenues. Remember that instance from Miracle on 34th Street? Kris Kringle at Macy’s directed shoppers to competitor stores because his store did not stock what they wanted. Macy’s actually ended up winning more loyal customers than what they had feared they would lose. So, you get the picture? This is a little-known and hardly-practiced strategy that is almost guaranteed to bring you new links and unique visitors. Savvy SEOs need not be told about the power of blogger communities to catapult a blog or a site up a search engine results page. They are always on the lookout for popular blogs in their niche to link to and hope that the high visibility of these sites will bring more visitors to their websites. But any given blogging community has only so many blogs, and SEOs often end up linking to the same ones repeatedly. Therefore, it is time you ventured out of this community and scouted for new blogs to link to. Look out for those that are regularly updated with fresh, relevant, and high-quality content and link to them. You might not only be rewarded with a “Thank You” backlink, but also increase your chances of being discovered by new readers. The above-mentioned strategies — linking to only high-quality sites, to competitors, and also to new blogs — are the three cornerstones of a successful outbound linking exercise. Follow these to a T and sit back. The rewards will show up soon. Francis Santos is a writer for Benchmark Email, a best practices email marketing company.